One of the low points of the ongoing national conference, at least for me, is the recommendation that 18 more states be added to the existing 36. If the constitution is amended to accommodate the 18 additional states, it would mean that Nigeria, with a population of 170 million and a relatively small landmass, would have more states than the United States, the third most populous country on earth with over 317 million people. But I can bet my bottom dollar that no new states will be created. It’s all just politics. It makes no sense at all to create more states when the current ones aren’t even sustainable. How many more ward councilors, local government chairmen, senators, governors, etc. can the national treasury support? Plus, creating more states will only open the floodgates to agitations for the creation of even more states since new marginal groups will always be formed in every new state, who would again seek to redress their marginality by demanding the creation of still more states. The truth is that even if every clan in Nigeria is made a state, harmony and tolerance for difference won’t suddenly be achieved. As Steve Goodier once said, “We don't get harmony when everybody sings the same note. Only notes that are different can harmonize. The same is true with people.” In other words, we can’t avoid difference. Difference inheres in our humanity. No amount of state creation can erase that. What Nigeria needs isn’t more states. It needs to create foolproof institutional safeguards against the oppression of people on the basis of their ethnicity, religion or region and thereby democratize access to opportunities. But since everybody is asking for a state, allow me to indulge in a little parochialism, too. I am from Baruten in Kwara State, which used to be part of Borgu. Many people from what used to be Borgu Empire (which includes present-day Baruten and Kaiama local governments in Kwara State, Borgu and Agwara local governments in Niger State, Bagudo and Dandi local governments in Kebbi State –and northeast Benin Republic) were miffed that the proposal for a Borgu State wasn’t given the nod by delegates of the national conference. They are even more miffed that the proposal for a Kainji State (which includes parts of ancient Borgu, i.e. Borgu and Agwara local government areas of Niger State) is accepted. According to colonial documents, in 1904, the area known as Borgu was initially designated as a province, which is the equivalent of a state in modern parlance. It was later downgraded to a “division” of several provinces, including Kebbi Province, Kontagora Province and Ilorin Province. When Kwara State was created in 1967, most of Borgu became a part of the state. Borgu’s distinction is that it has always been a pluri-ethnic socio-political formation loosely united by the common Songhai ancestry of its various ruling families. The major ethnic groups in the empire are Baatonu, Bokobaru, Bussa, Kyenga, Kambari, Sabe, Fulani, Zarma, and Dendi. There are several other ethnic groups that number only a few hundred people. But, in spite of its deep historical roots, so little is known about Borgu both by others and by the Borgu people themselves. As ethnically and linguistically diverse as the people are, they cherish a common myth of origin. They all claim to be descended from a mythical figure called Kisra who reputedly came to Borgu from Mecca by way of Borno. This is, of course, pure nonsense. Archeological finds show that there has been life in the area known as Borgu much earlier than there was ever life in Arabia. The myth of origin dates Kisra’s migration to Borgu (first to Bussa and later to Nikki and Illo) to the 7th century since Kisra was supposed to have left Arabia because of his disagreements with the prophet of Islam. Well, again, archeological evidence shows that Borgu people have lived in their current locations several hundreds of years before the 7th century. 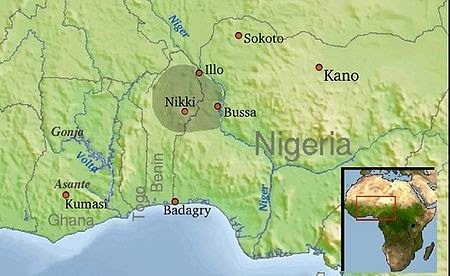 It is only fairly recently that historians have come to terms with the fact that several of the ruling families in Borgu, particularly in New Bussa, Nikki (in Benin Repblic), Kaiama, Illo, Okuta, Yashikiru, etc. are actually descended from the Soninke Wangara. The Wangara were gold merchants and Islamic scholars who integrated with the Songhai culturally and linguistically and helped spread Islam in West Africa. They also established kingships in many West African polities. For instance, the first Muslim ruler of Katsina, Mohamed Korau, was a Wangara. He ruled, according to historical records, between 1492 and 1493. 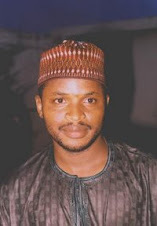 The same Wangara people moved to Borgu, overthrew the indigenous ruling families but without a fight, established feudal dynasties, and made a disparate group of people to cherish membership of one big political family. As is the case with the Wangara elsewhere, they married into the local populations and became culturally and linguistically indistinguishable from them. In order to legitimize their hold to power, they claimed to be descended from some imaginary man called Kisra who putatively landed in Borgu after rebelling against the prophet of Islam. In time, their story was adopted as the story of origin of the entire Borgu people whose languages are not even mutually intelligible and whose cultures and histories are diverse. I am currently reading a manuscript on the Baatonu people written by Alhaji Hussaini Lafia who has written several books on Borgu. He draws uncommon insights from several works on Borgu written in the French language and from troves of linguistic evidence from a major Songhai language, which the author speaks fluently. His book makes the case that based on the names and honorific titles of the early rulers of Borgu, the rulers were clearly of Songhai/Wangara origins. In any case, the royal lineages in Borgu, especially in the Baatonu and Bokobaru parts of Borgu, are called “Wasangari,” which is clearly a corruption of Wangara. Now, if the national conference wants to create states, it can’t possibly ignore Borgu. But the conference should be prepared for another agitation for a Baruten State (for the Baatonu people) after which I will personally lead the agitation for a Kperogi State (for the Kperogi clan in Okuta). Heck, I’ll even ask for my own state!